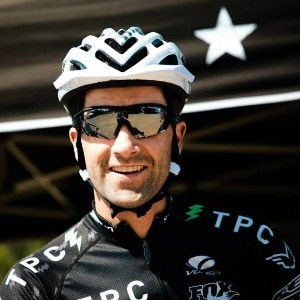 This 26 week training plan will incrementally build your fitness so you are at your peak fitness for a 50 Mile Mountain Bike Race at the end of the training plan. This training plan can be used with power and/or heart rate training. This training plan is 6 days a week with off days on Monday. Workouts on Tues-Friday are shorter and can be done indoors or outdoors. Workouts on the weekends are longer and are preferably done outdoors. Each week is 10-15 hours total. You will be working on a combination of building your fitness with a variety of types of rides (long, short and intense, mountain bike specific, etc. ), and will also work on your pacing and nutrition for a 50 mile race. Rides get more and more specific to what you will encounter at a 50 mile race. You will be given race specific long rides every Saturday that work on combination of fitness, pacing, and nutrition strategy for your race day. The plan focuses on the athlete looking to start training specifically for a 50 mile race. You can add races throughout the plan as needed. Ride Zones 1-2 inlcuding 3-5 x 30 second accelerations to Zones 3-4. Ride all zones today. Push the climbs, relax and recover on the downhills. Aim to progressively get faster as the ride goes on. Finish off with 10-15 minute cool down easy in Zones 1-2 only. Warm up well with 20-30 minutes of spinning and 3-4 x 60-90 second accelerations to Zones 4-5. Follow this with 2 x 20 minute intervals building up to Zones 3-4. Within each 20 min interval criss cross from Zone 3 to Zone 4 every 2 minutes. Take 15 minute rest between intervals. Finish off with easy spinning in Zone 1 only.